I heard about geocaching a few years ago, but paid it absolutely no mind. It sounded overly complicated and I didn’t have a GPS. That was the last time I thought about it, until the other day when my other half brought it up that we should try it. There’s an app for it. Well, that one sentence was too much of a temptation and I started looking into it. 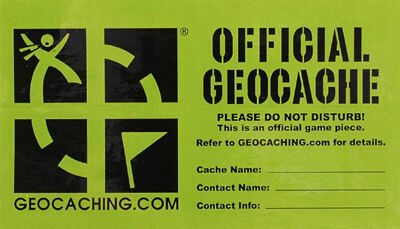 Sure enough, there’s tons of geocaching apps on Google Play and they have all sorts of user levels and prices. So I downloaded one that looked user friendly. Once it was downloaded, I searched for caches. There are TONS in my area. So yesterday I picked one that was about 1.5 km away from my house, hopped on my bicycle and went out geocaching with my father who’s in the country this month visiting. So the geocache I picked has “playing” in its title. I won’t give the full title in the event any dutchies in the area are reading this, I’d hate to give spoilers. But when I picked it, I thought I knew where the geocache would be…in a playground in that area. No, actually it wasn’t. There was really nothing in the area except a few benches. Well, we hopped off our bikes and got bewildered looks by some folks working on a building about 5 meters to the right. We were looking under benches, in bushes, under the trash can but really there was nothing in the area that even looked like it could be a geocache (they’re usually in a water tight type container). After about 5 minutes of searching, dad called me over because he found it. 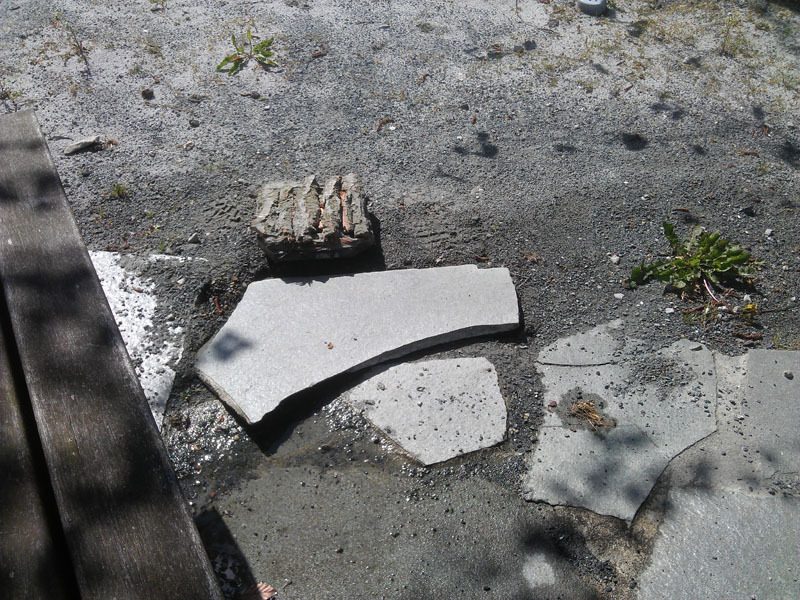 It was under a loose flagstone. And then we discovered why “playing” was in the title. 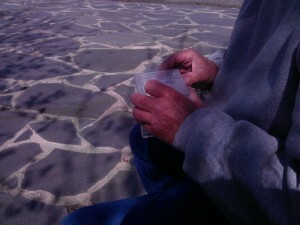 Whomever made this geocache put the trinkets in a bloody puzzle box! But I’ll tell you, it’s a fun way to get outside, see things, do things, and be healthy. Now I’ve just got to see if I can get one of my cthulhu figures from my bag of cthulhu sent around the world!